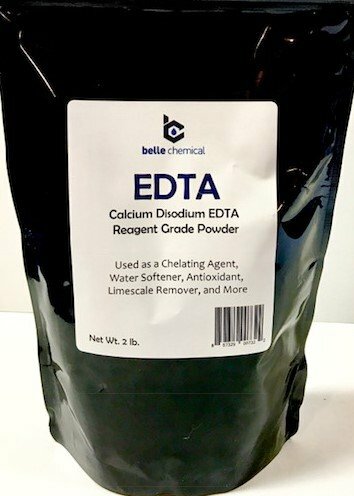 EDTA, Calcium Disodium Salt Used for both industrial and medicinal purposes as a ligand and chelating agent. EDTA binds metal ions and diminishes their reactivity in solution. It is known to a lesser extent as a water softener and can aid in the dissolution of limescale by binding calcium and magnesium. For iron dissolution, the reaction in pH dependent where a more acidic pH is favorable. EDTA has been known to be used in the practice of chelation therapy for treating heavy metal poisoning. If you have any questions about this product by Belle Chemical, contact us by completing and submitting the form below. If you are looking for a specif part number, please include it with your message.